CANTON, Mass. 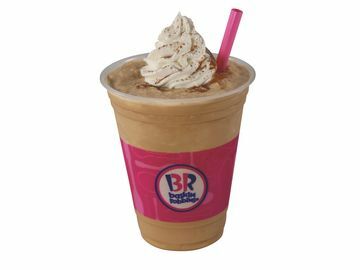 (Nov. 13, 2012) – Baskin-Robbins, the world’s largest chain of ice cream specialty shops, is offering ice cream lovers an extra treat this Thanksgiving holiday with its delicious Turkey Cake and new Turkey Leg individual novelty, now available at participating Baskin-Robbins locations nationwide. 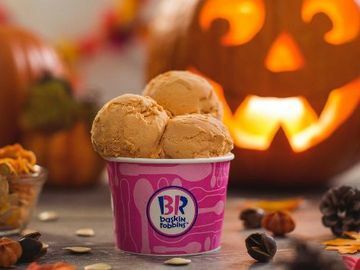 To delve deeper into turkey day trends, Baskin-Robbins commissioned a nationally-representative, independent survey of 1,005 Americans. 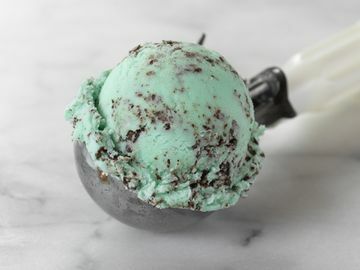 The survey revealed that six in 10 Americans (59%) usually bring dessert to their Thanksgiving meal when dining as guests, making these festive frozen treats the perfect additions for holiday gatherings. Back this year by popular demand, the Baskin-Robbins Turkey Cake can be customized with any (or two!) 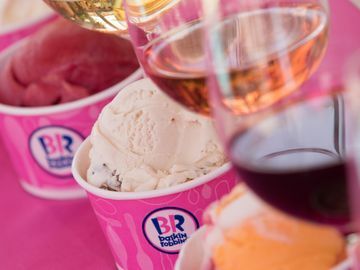 of Baskin-Robbins’ delicious ice cream flavors and is glazed with a sweet caramel topping. It’s sure to add “wow factor” as the centerpiece for any holiday dessert table. The cake serves 8-12 people and has a suggested retail price of $32.99. For those who can’t take on a whole Turkey Cake, Baskin-Robbins is offering a new Turkey Leg individual novelty. This whimsical frozen treat features Baskin-Robbins’ ice cream, a sugar cone and caramel glaze, playfully disguised as one of everyone’s favorite parts of a turkey. The eye-catching items are sold as a pair have a suggested retail price of $7.99 and are also available in a four pack with a suggested retail price of $14.99. Roasted or Fried? Seventy-three percent (73%) of Americans who eat Thanksgiving turkey prefer their turkey to be roasted over deep-fried (13%) or smoked (8%). Most popular part of the bird? Fifty-two percent (52%) chose breast meat, followed distantly by the thigh and leg (each 14%), among other popular choices. Applying a unique spin to a Thanksgiving recipe is mostly done with side dishes (35%), followed closely by desserts (29%). Indeed, when asked to select the most important part of the Thanksgiving meal, aside from the turkey, more than a quarter (28%) chose dessert – though side dishes ranked first, selected by 57% of Americans. Given a list of popular Thanksgiving side dishes, stuffing emerges as the favorite (33%), followed by mashed potatoes (26%), sweet potatoes (11%), and cranberry sauce (9%), among others. What’s the best part of the Thanksgiving meal? More than eight in 10 (82%) cite enjoying it with friends and family, while 9% of Americans say it’s the leftovers they most relish! Along these lines, spending time with loved ones is Americans’ favorite Thanksgiving Day activity (62%), besides eating. Watching football (19%) and parades (7%) follow. 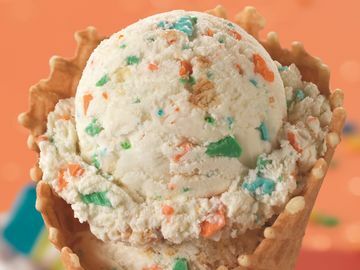 For more information about Baskin-Robbins and its wide range of ice cream flavors and frozen treats, visitwww.BaskinRobbins.com or follow us on Facebook (www.facebook.com/BaskinRobbins) or on Twitter (www.twitter.com/BaskinRobbins). Weekly telephone omnibus survey of 1,005 respondents aged 18+ and living in the continental U.S. fielded October 26 – October 28, 2012 by GfK Custom Research North America. The margin of error for this survey is +/-3 percentage points.